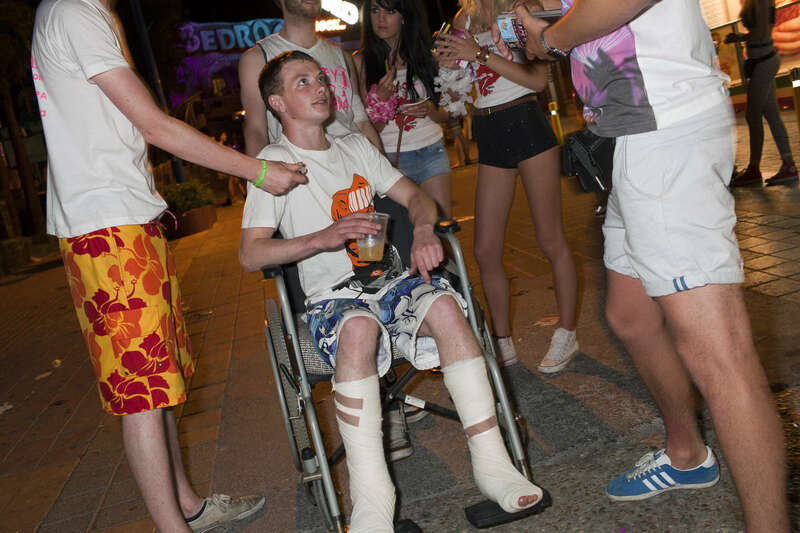 01:51 19 year old Calum, from Scotland, on the strip with friends in Ayia Napa, Cyprus. Calum slipped on the floor where he was staying and fell through a patio door and from a first floor balcony, severing the tendons in both of his legs. Travel operator, Thomas Cook, arranged three seats for him on the aeroplane home as Calum had appropriate travel insurance.